These modern and stylish chairs will suit any Bistro, Restaurant or Café décor. 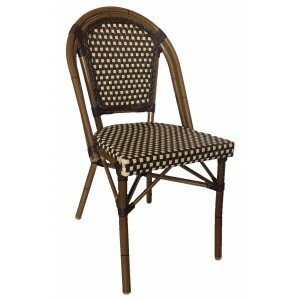 It has sturdy cane look aluminium frames and PVC wicker style weaving. These chairs are stackable and available in both Arm and Side chairs you have three color choices.